In the endless pursuit of perfection, you push yourself, and your limits to the EDGE. With 24 grams of ultra-premium protein in a formula low in carbs, calories and fat, Syntha-6 EDGE delivers everything your muscles need – with a taste so good, you’ll think it’s a cheat day! SYNTHA-6 EDGE is a blended protein that delivers 24 grams of premium protein with low levels of carbs and calories to give your muscles everything they need and nothing they don’t. With 5 game-changing flavors to choose from, the milkshake like experience of SYNTHA-6 EDGE will have you convinced its cheat day. 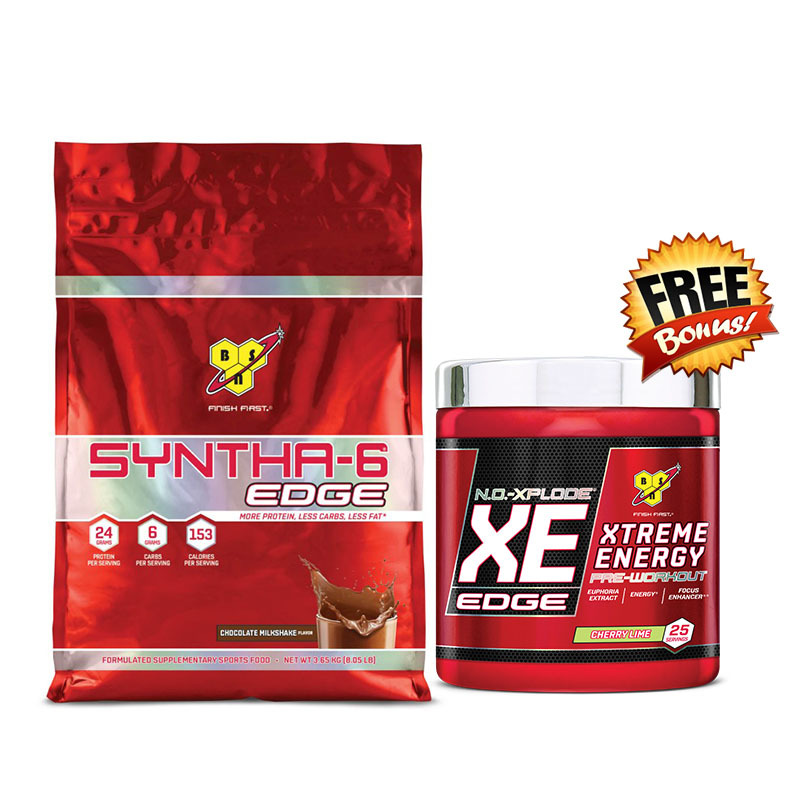 Fuel your muscles and reward your taste buds with SYNTHA-6 EDGE. 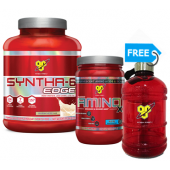 Fuel your muscles and reward your taste buds with the all new Syntha-6 EDGE! 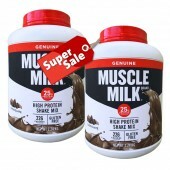 More Protein/Low Carb, Low Fat, Low Calories - Milkshake-like experience that mixes up smooth and creamy every time! 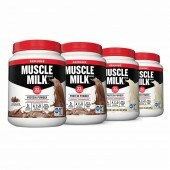 Nutrition & Taste - We have cracked the code on delivering great nutrition and amazing taste in a protein shake! Syntha-6 EDGE delivers the smooth, milkshake like experience you expect from the SYNTHA-6 brand and provides 24 grams of protein per serving with less calories, carbs and fat. Mixability & Texture - Whether you simply use a shaker cup and water, or craft your own designer shake – Syntha-6 EDGE mixes up smooth and creamy every time. Versatility - By utilizing a protein blend, Syntha-6 EDGE is designed to fuel your body before, during or after your workout or anytime you need to support your nutritional regimen. Recovery - With 24 grams of ultra-premium protein and 11 grams of naturally occurring essential amino acids in every serving, Syntha-6 EDGE helps you recover, rebuild, and repair…and return to PUSH some more. 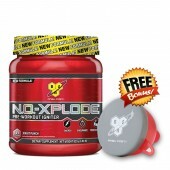 Product Integrity - At BSN we are proud to deliver premium sports nutrition products to our consumers. 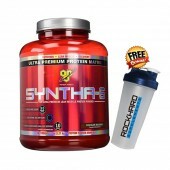 The SYNTHA-6 brand has always used genuine protein sources in our formulas - ensuring your protein is 100% protein. This heritage continues with the new Syntha-6 EDGE. Quality & Safety - Quality and safety is the cornerstone on which all BSN products are formulated and manufactured. Our stringent ingredient and manufacturing requirements are best in class. From the raw materials we select, to our stateof-the-art manufacturing facilities, this unrelenting commitment to superior quality ensures the safety and potency of every product we produce. How is the new Syntha-6 EDGE different from the existing Syntha-6? As Syntha-6 EDGE delivers a much leaner MNP it will attract a consumer that has previously rejected products with higher carbohydrate levels. 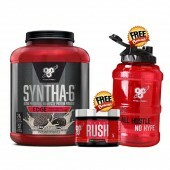 Syntha-6 EDGE competes in the lean MNP protein segment, with the primary competitors being; MusclePharm Combat, MuscleTech Phase 8 and Giant Delicious.